Okay, when I find a blogger I love... well, I don't know... I just love it! Colette from My Computer is My Canvas is just about as creative as they come! 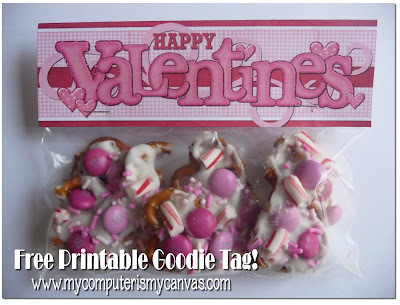 She has a fun little giveaway for THREE of you today, but before we get to that, I wanted to show you some of her fun Valentine ideas AND free printables!! 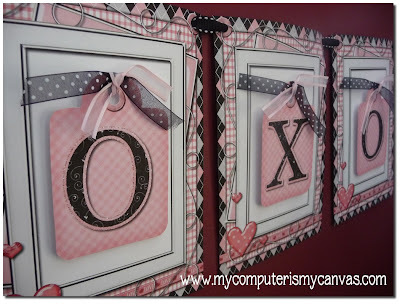 She tells you where to find these Cute Lovey-Dovey Fonts! ....and she's giving THREE sets of them away here on Love Actually. 2. Visit her blog HERE and leave a comment with your favorite project she posted about! PS....You can get 20% off any order from Colette's Etsy Shop during the giveaway dates with this code: "LOVEACTUALLY"
I'm a follower of your blog, and I love her quote cards!! I follow you! 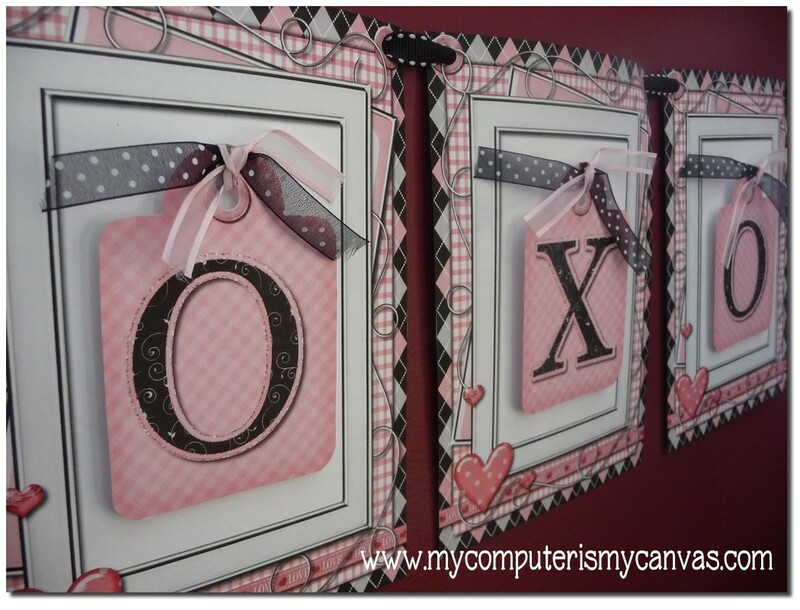 <3 <3 Those cards would be so fun to hide for my family on V-Day! I LOVE the quote cards!! My husband works out of state during the week, what a great idea to put these notes in his shaving bag, suitcase ect. LOVE IT!! (I was trying to think of a cute way to show my Valentine how much I love him, this one is my favorite). Okay, so maybe the quote cards are not geared toward kids---my mistake! I love the V-Day bark and the V-Day Advent calendar! I left a comment over there! I like the nativity printables. I know they are not for valentine's day, but I still like them. I'm a Love Actually follower! LOVE this blog to pieces! I love the Mailbox Job Card post and the Raw Cookie Dough....going to make some today! I am a follower of your blog and I let her a comment! I am already a follower and I left a comment over at Colette's AND became a follower... you two are both amazing! I am already of follower of Love Actually! I follow your blog and would love those V-day note cards. This is Ashley Larsen by the way, my blog account is from school. I saw one on here last year. Could you repost it? Thanks so much I love your blog! My favorite is the countdown to Valentines post. Such a cute idea! I like the Valentine Banner! Im a follower of your blog. I posted on her blog. I love the love quote notes. I love her love quote notes! I am in LOVE with this giveaway! I'm also a follower! Aside from everything she's giving away over here, I'm a sucker for the Clipboard Calendars she posted about! I love her sweet countdown to Valentine's!! Oh man! What's not to love? I actually REALLY, REALLY love the love notes. That would so so fun to do. 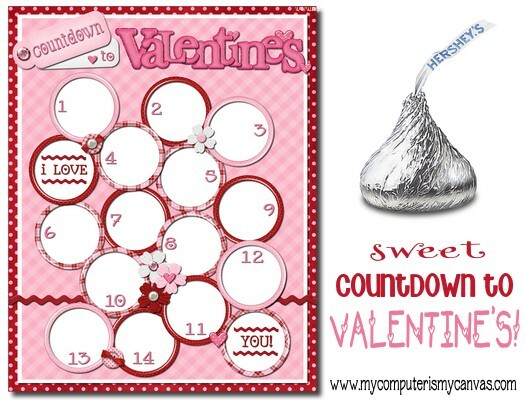 I love the Valentine's countdown for kids and all the cupcake toppers too. I am so glad you are doing a givaway for my computer is my canvas, I love both Love actually and my computer is my canvas! I am a follower Yay and I just bought the chore cards from MCIMC but I love all her ideas ans she makes them so cute!!! I love the Love Quote Notes! I am already linked to the etsy site to see about getting some! 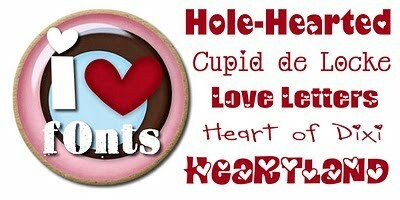 I love the post about fonts, I am addicted to fonts and the Valentine's themed ones are great! I think the EZ Menu Planner is genius! I have such a terrible time with the dinner hour and her project will make it much easier! Yes, I'm a follower :-) Love your site! I'm a follower of your blog. 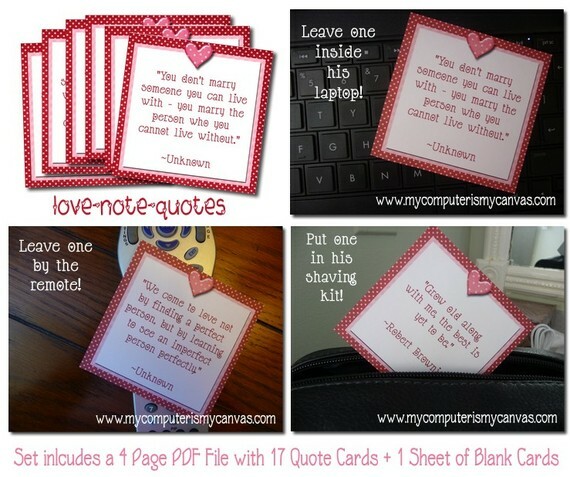 I like the 2011 calendar and the v-day quote cards. And I'm a follower of love actually! Follower and its definitely the quote cards! Left Colette some luv! I LOVE the Printable Valentine Banner so much! I love the quote cards, such a cute idea. I am also a follower of Love Actually. I'm a follower of your blog. I really liked everything, but the love notes were my favorite! Posted a comment telling her how much I love the LOVE NOTE QUOTES! I love the love quote cards but also the Valentine Banner, SUPER cute! Has the lucky giveaway winner been chosen? Hope it's ME!! congrats! keep up the good work/this is a great presentation. I don't understand... Can we buy those cards or print them out somewhere on this site? Yes they are amazing cards and lovely quotes,Thanks a lot. These are amazing cards. Hopefully I can utilize it for how to get girls. Thank you!